Minimum 7 or more persons, eligible to enter into a contract can form society for various bona fide purposes. Under the Jammu and Kashmir Act, and Telengana Area Act, only 5 persons can form a society. For a society registered under Societies Registration Act, 1860 or under the Section 25 of Companies Act, profit motive for personal use is disentitled. Whatever profit is made through the working of such a society, is accountable for, and is necessary to put back the profit in the working of such a society. The Companies Act under section 25 also prohibits any payment of any dividends of its members as part of profit earned. The registration of a society is to be done under the act wherever obtaining and not in the state where the benefit is claimed. All subscribers (minimum 7) should sign each page of the memorandum and the signature should be witnessed by an Oath Commissioner, Notary Public, Gazetted Officer, Advocate, Chartered Accountant, Magistrate First Class with their rubber/official stamp and complete address. 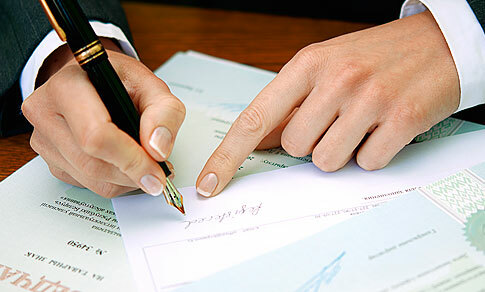 Covering letter requesting for registration stating in the body of letter various documents annexed to it. Memorandum of Association in duplicate along with a certified copy. Where there is a reference to any particular existing places of worship like temple, masjid,gurdwara etc. sufficient documentary proof establishing legal competents and control of applicant society over such places should be filed. Affidavit of non-judicial stamp paper of appropriate value by President or Secretary of the office. Documentary proof house tax receipt, rent receipt in respect premises shown as registered office of a society or ‘No Objection Certificate’ from the owner of the society. The Societies Registration Act, 1860 lays down procedure for registration of societies for variousbonafide purposes. gives recognition to the society at all forums and before all authorities. When the society is registered, it and its members become bound to the same extent, as if each member had signed the memorandum. A society, registered under this Act, must confine its activities to the sphere embraced by its objects. A tax imposed on a society is one imposed on the society and not on its members. A society registered under the Act enjoys the status of a legal entity apart from the members constituting it. A society so registered is a legal person just as an individual but with no physical existence. As such it can acquire and hold property and can sue and be sued. The society should be registered under the Act to acquire the status of juridical person. In the absence of registration, all the trustees in charge of the fund have alone a legal status and the society has no legal status, and, therefore, it cannot sue and be sued. A non-registered society may exist in fact but not in law. It is immaterial under the Act whether the society is registered but where the benefit is claimed, the registration of society under the Act us required. An unregistered society cannot claim benefits under the Income-tax act.